With the same high standards placed on every coffee bean we roast, you can always expect to be receiving the best of our 100% High Grown Arabica Mountain coffees. 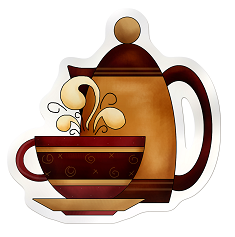 The Herbal Tea Shop's coffees are roasted fresh every day to guarantee freshness. Our coffees are made with 100% Arabic beans. We carry a great collection of flavored coffees; from apricot to vanilla we are sure you will find the one you like. Decaffeinated coffees so good you won't even miss the caffeine. Our coffees come in three different choices, whole bean, drip grind, or French press. 160 different coffees to choose whether it be our flavored coffees or our blend coffee we have the coffee you have been looking for.